Guarding protects your machinery and your people – and ships in days where others take weeks. 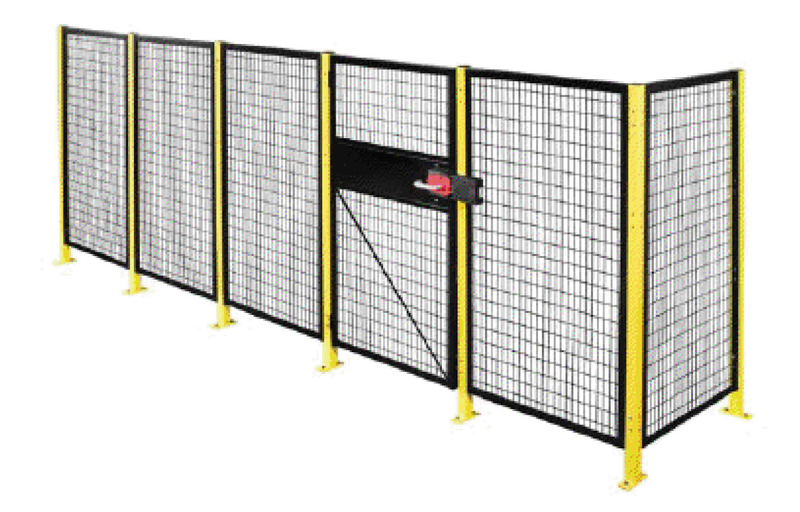 Our modular guarding systems make it easier than ever to specify, order and install. 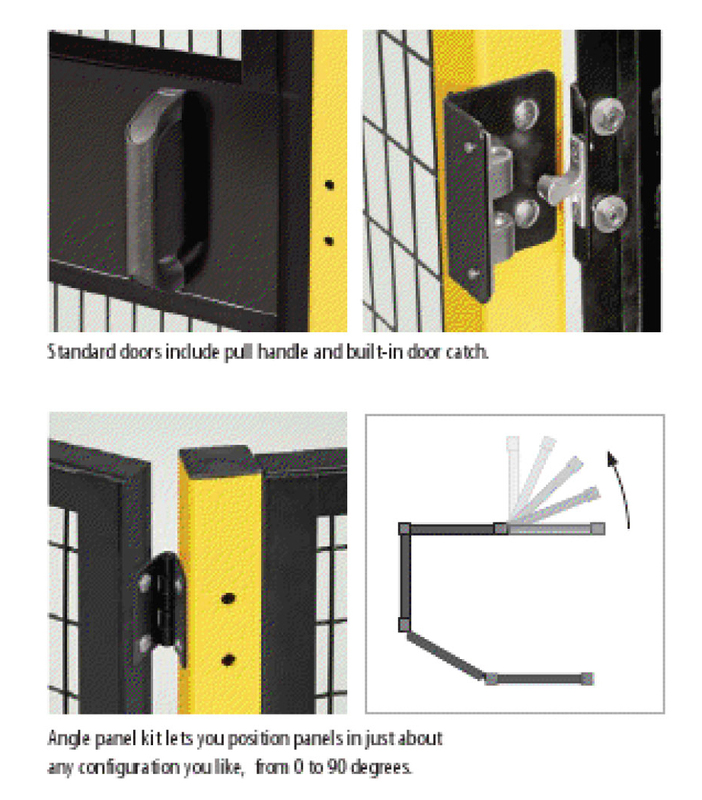 We offer ample options in posts, panels, doors and locks. 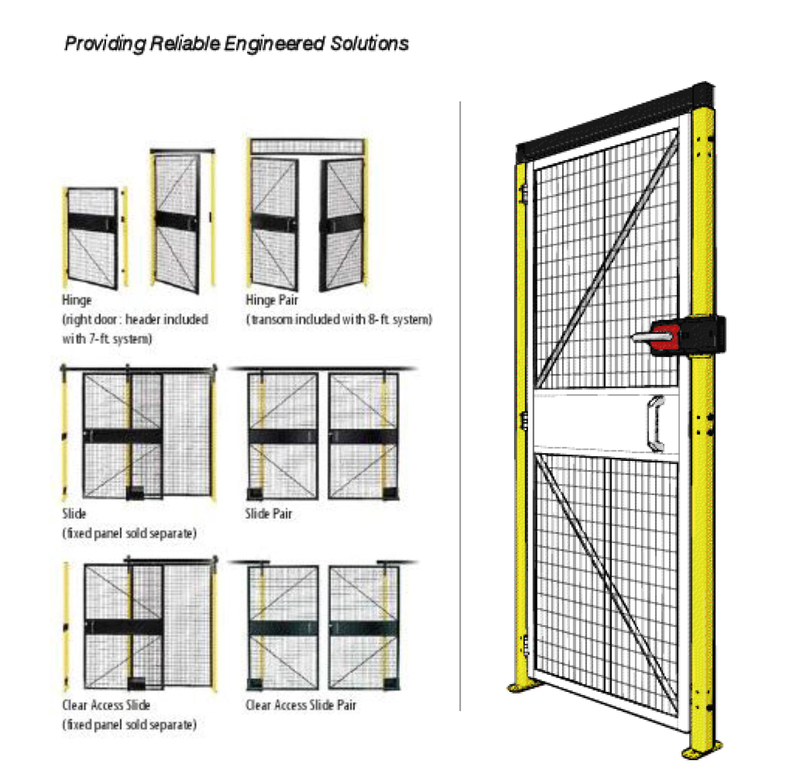 There are three post heights, six styles of doors, and over 30 pre-fabricated wire mesh panels and accessories. All bolt together, and are built for exact fit and easy assembly. Mesh openings, heights, clearances and tolerances can help you meet OSHA, Canadian (CSA) and European (EN) safety regulations. 10-gauge welded wire mesh with 1-1/4″ x 2-1/2″ grid openings. Wire mesh framed utilizing 14-gauge 1-1/2″ x 1-1/2″ steel angle. 2″ x 2″ x 16-gauge steel tube welded to 2″ x 6″ x 1/4″ base plates. Hinge, Hinge Pair; Slide, Slide Pair; Clear Access Slide and Clear Access Slide Pair doors. Built-in door catch and pull handle standard. Panels are black powder coated; posts yellow powder coated. Other powder coating colors available. Locking: Interlock or Padlock Hasp. Angle Panel Kit. Hydraulic Closer for hinge door.